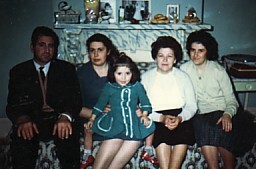 Above: With my parents, Eleni and Efstratios. The photograph was taken when I was preparing to leave for Australia. 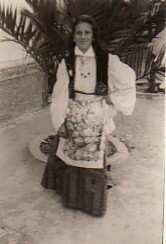 Above Middle: Dressed for Independence Day celebrations. Above Right: At our family's field in Mosna. 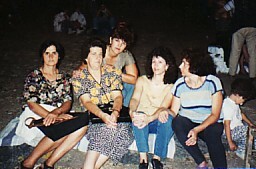 With my maternal auntie, Maria, who was visiting form the United States, my parents, Efstratios and Eelni, and me. 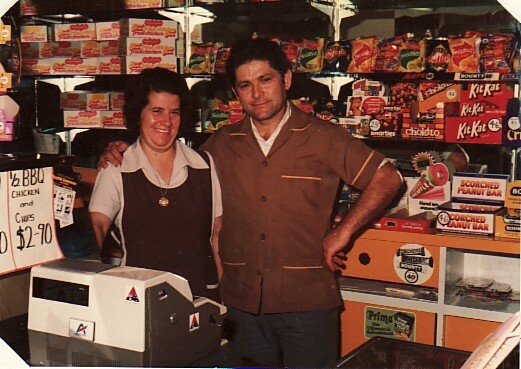 Above: With my husband, Panagiotis Douroudis, in our family business- a take away shop- in Thornleigh. We owned the business for twelve years. Above Right: At the panygiri at Mosna. 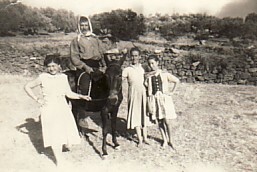 My family and I were holidaying in Greece at the time. I am second from the left. Above: Family. From left, we are: my sister and her husband, Stavritsa and Efstratios Arvanitakis, my auntie Maria (from the United States of America) and me. The young girl is my niece, Elli.